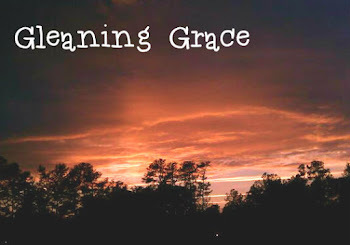 Gleaning Grace: Praying for a hole or praying for a whole? Praying for a hole or praying for a whole? For those of you who have been following my blog, you know my Mom has been experiencing some health issues. She has been going through testing and procedures to ensure a correct diagnosis and determine next steps. Today she had a procedure that looks for holes in the walls of her heart, or at least, the vein system flowing through her heart. Now, I know this will sound strange, but finding a hole, would be a good thing. It means determining a cause behind the original diagnosis of pulmonary hypertension. It helps differentiate between Primary or Idiopathic Pulmonary Hypertension (no known cause or cure) and Secondary Pulmonary Hypertension (caused by another, correctable issue). It sounded like a scary procedure. Mom explained it on the phone last night. I think she is trying to present everything very matter-of-factly and with a brave face on it. But I can't help but wonder: she has to be scared, right? I mean, I know God doesn't give us a spirit of fear; it comes from the enemy. But still, we are all human. Fear is something we've experienced on an emotional level since early childhood! So how does one put that aside in lieu of Total Trust and Faith in an emotionally tense situation such as this? I believe in miracles. I believe in Divine Healing. I believe in God's will and that he has a hope and a purpose for each of us in every situation we live through (Jer 29:11). So why can't I do it? Why can't I move past my fear and into Full Faith? I hope and pray it doesn't have to get harder before I figure it out! An Update: Mom's procedure did not reveal any holes. I am grateful for that, but also sad. It means we still don't have a "fix-it." I realize maybe we aren't supposed to, but for now I keep hoping for one. On an alternate note: I have decided to participate in one thousand gifts. See it here. Feel free to participate yourself. For me, there are so many little things I give thanks for every day. Now I want to write them down in an accruing list and share them with you. For me personally, I would like to list at least 7 each day, but you can participate in your own way. 2.) his insanely long eyelashes brushing my cheek and neck as he snuggles into me. 5.) ...the rainbows she draws me. 7.) when hubby makes me so mad I just want to knock him out, but when I turn to look at him, he makes me laugh instead. Please share your list too! Rodeo in the top bunk? Follow me by email and on Facebook!